It looks like Ed Sheeran got scorch by Dragons. 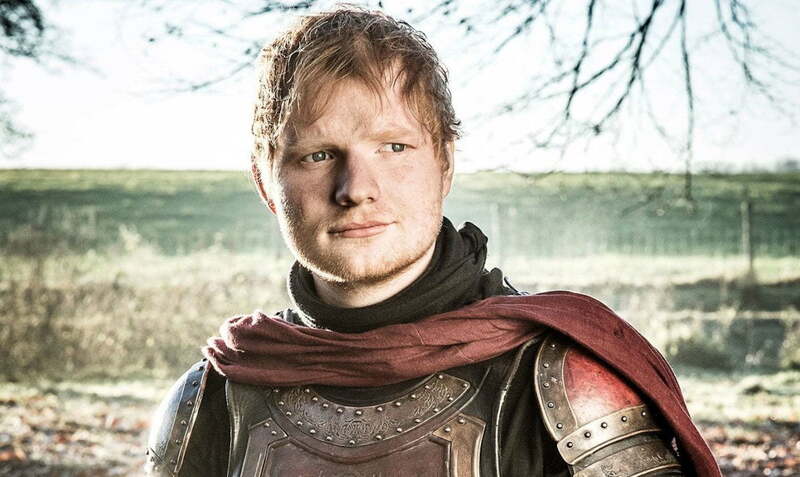 For those of you who watch Game Of Thrones, you will know that British singer Ed Sheeran made a cameo in season seven first episode with a fitting name, Eddie. We first met Eddie when he and a group of Lannister soldiers were resting and eating and Arya, played by Maisie Williams, came across the group on her journey to King’s Landing to kill Cersei, who is on her list of names. The group was singing a campfire tune called “Hands of Gold,” and that’s when they offered Arya some food. Since that scene, we haven’t seen Ed Sheeran’s character, and fans started to voice their concerns on social media. It turns out that Game of Thrones writers found a clever way of revealing Eddie’s fate while injecting a little humor. In the season eight opener, Bronn (Jerome Flynn), was having some fun with three prostitutes when one of the ladies asked about the Ginger Lannister soldier. One of the girls revealed that Eddie came back to the capital with his face burnt right off and now has no eyelids. “How do you sleep with no eyelids?” one female asked. Perhaps Eddie was in that fight with the Lannister army and Daenerys Targaryen when she brought blood and fire on them. That scene will go down in history as one of the greatest in the history of Game of Thrones. Ed Sheeran has since responded after learning his fate. “Thanks Game Of Thrones, I knew I was a survivor,” he wrote. We who watched Game of Thrones was hoping that Eddie would make another cameo, but it looks like he is at the end of the road as the focus shift to the great war in the north between the living and the dead.